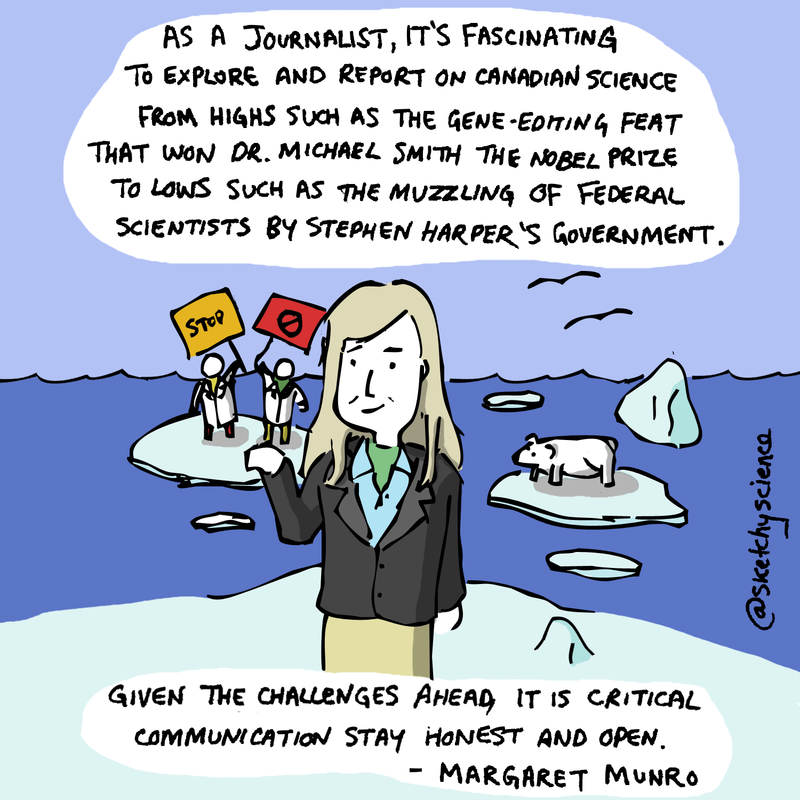 “As a journalist it’s fascinating to explore and report on Canadian science – from highs such as the gene-editing feat that won Dr. Michael Smith the Nobel Prize to lows such as the muzzling of federal scientists by Stephen Harper’s government. Given the challenges ahead, it is critical communication stay honest and open.” – Margaret Munro, science writer and journalist. Originally posted on September 21, 2016.